Join a full time nanny share at the start of 2018! Email diane@starlingagency.com to chat with this awesome family! ABOUT US: Starling Agency is a nanny placement service proudly serving the Seattle area. We specialize in referring highly educated nannies that are passionate about helping children learn and grow. We utilize proprietary resources, professional networks, and expert screening methods, to help your family hire an exceptional nanny. Starling Agency is a run by parents and educators. 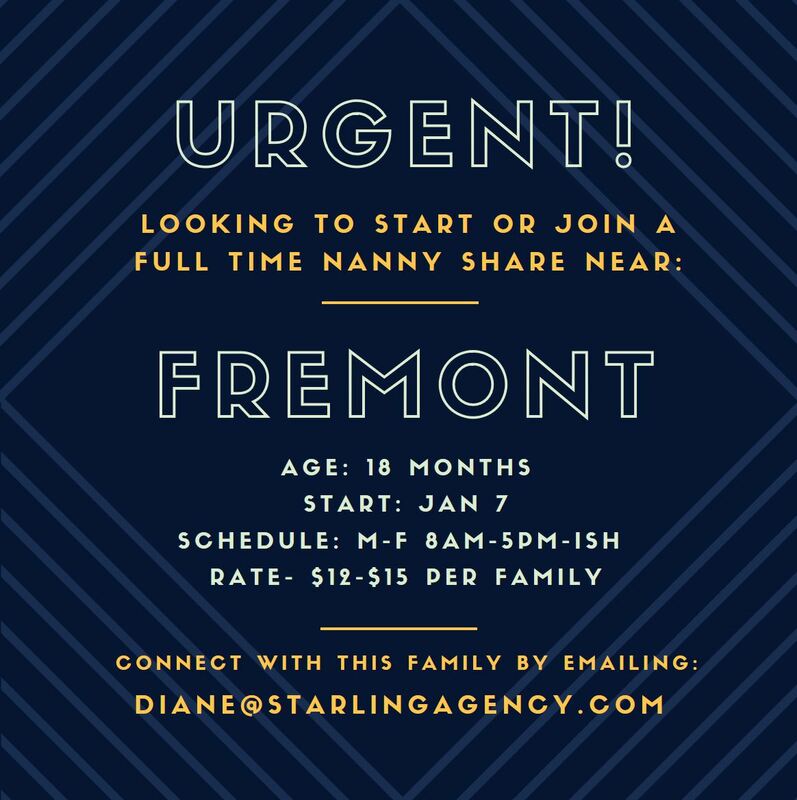 Previous post: New Nanny Job Alert! Next post: Now Hiring: Full Time Assistant!